Thursday Feb. 25, 2016 James and I decided to stay all night at Owl’s Corner. The weather was nice and there was no school on Friday. With our food packed and Our long “to does” list…(before the place can be rented) we proceed; thinking of the peaceful evening that could be spent by the fire pit. 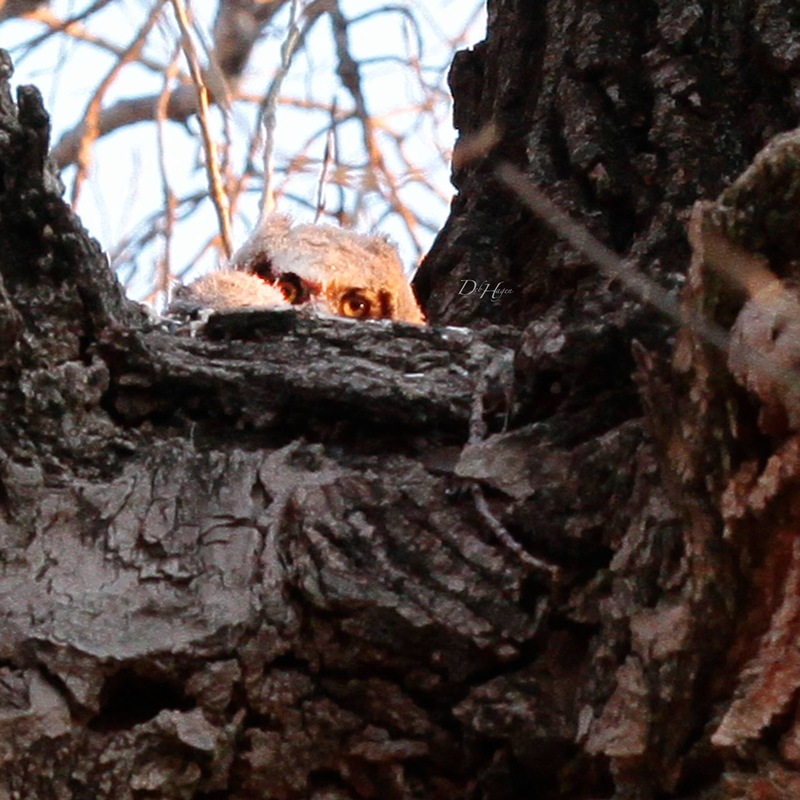 Will the mother owl swoop done and put her back in the nest? Her eyes are not even open yet. This must be a new hatchling. She can not survive without human intervention of some type…but what should we do??? 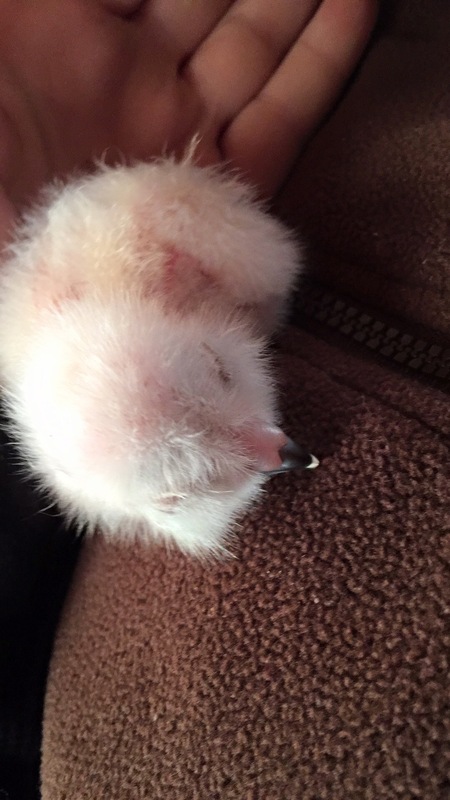 Keeping her tiny body warm and safe, after several phone calls searching for answers, it has been decided to attempt to return this owlet to the nest is best. Finally locating a very tall ladder, James carefully climbs the ladder, safely returns her to her siblings and takes a picture of the nest and reunion. The normal amount of nest time for Great Horned Owls is 7-9 weeks. 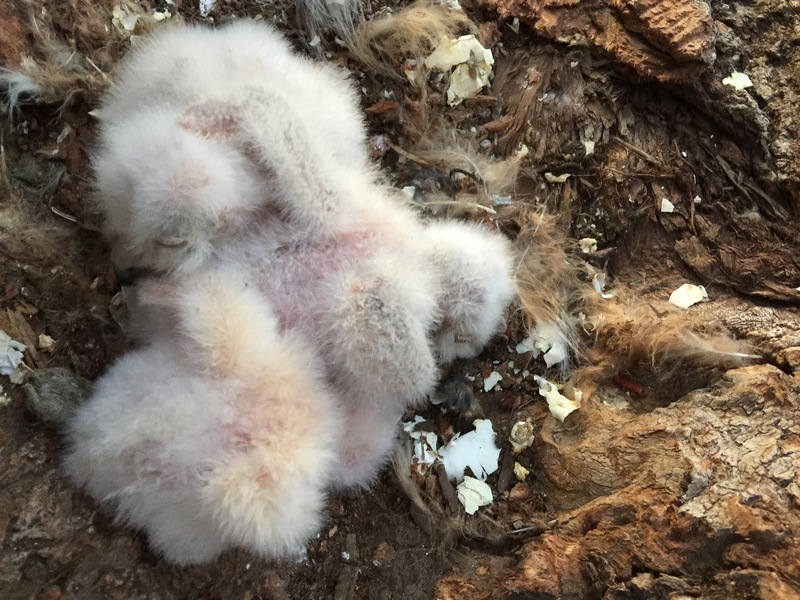 After 26 days – they have grown some… But still have a few more weeks before they can fly. Progress reports are planned but some times these little guys do not cooperate.